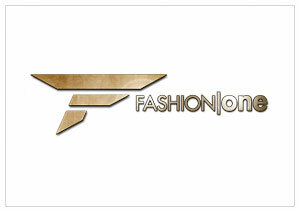 February 26, 2015, New York – Fashion One carves another notch in its programming slot. The premiere fashion, entertainment and lifestyle international broadcaster rolls out its Weekend Special block, featuring fashionable shows every weekend starting this year. Discover new exciting features every week right at the comfort of your own home. The Weekend Special block will be showcasing a compilation of the biggest fashion moments in recent years. From the world’s top fashion icons, to the biggest fashion trends, Fashion Week highlights, and a dash of Hollywood glamour, this weekly treat will definitely make your leisure days a fashion craze. Watch what’s in store for the Weekend Special block airing every Saturdays and Sundays at 20:30 (GMT+8 for Asia / GMT+1 for the rest of Europe), exclusively on Fashion One and FO. Check your cable operators for your local TV channel listing. Award Winners Weekend Review - We will bring you back in time these star-studded red carpet ceremonies, featuring the brightest names in music and in film industry, recognizing their achievements and contribution in the realm of fashion and entertainment. Hollywood Walk of Fame - Let’s ravish your weekend as we unroll Hollywood’s finest entertainment icons that were honored with a pink terrazzo marble star, immortalizing their name’s legacy, awarded at the glorious Hollywood Walk of Fame! Models Weekend - Highlighting top - ranked fashion models, we bring you an extensive selection of fresh models, showing their breakthrough moments, appreciating their great form and physique, and how they influence the fashion planet. Photographer Specials - Emphasizing talented photographers, showing their imaginative shooting tips, capturing inimitable moments that are worth more than a thousand words, taking amazing shots to perfection!